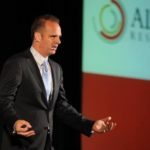 Michael Simonsen founded Altos Research in 2006 and has since grown the company to be the premier supplier of real estate market analytics. Every day, Altos Research helps thousands of real estate professionals reach their clients with insightful market reports and lead generation systems. In the last 14 months, oil prices have fallen by 60 percent. For most American consumers, this has been a pleasant bonus. Lower gas prices give us more money in our pocket to do things like buy houses.